This Oven Caramelized Onions Recipe is an easy, mostly hands-off kitchen hack on how to caramelize onions! Add mouthwatering flavor and take a dish from ordinary to extraordinary with these perfectly caramelized onions! Melt in your mouth tender, savory yet candy-sweet, highly addictive caramelized onions. However, these caramelized onions are not just legit amazing in the taste department, they are also easier than pie to make. Caramelizing onions in the oven, versus on the stove, significantly cuts down on time and the need for constant stirring. 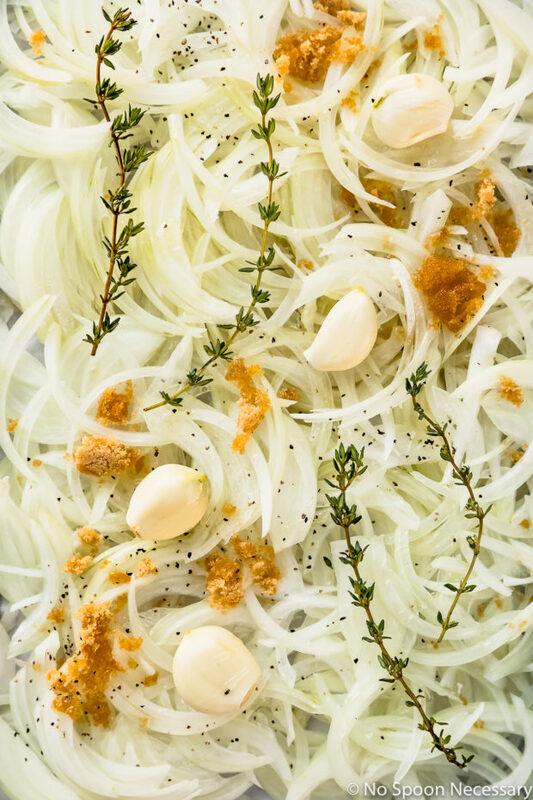 Basically, these onions have the same big, bold flavor, just without all the effort! Caramelization is the cooking process in which sugar browns. Since onions are naturally sweet, caramelized onions come from the simple process of slowly cooking the natural sugar in onions over an extended period of time until they brake down to a deep brown color and are extremely soft and jam-like in texture. Caramelizing an onion results in a magically sweet, intense onion flavor. What kinds of onions to caramelize? 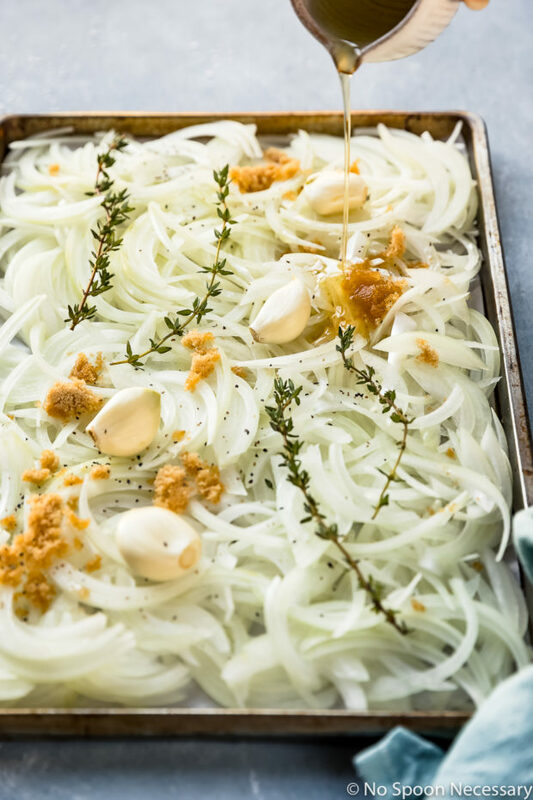 You can caramelize any type of onion, even in the oven, so feel free to try any variety in this oven caramelized onion recipe! 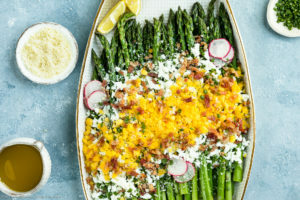 Yellow Onions – Yellow onions are the most versatile, caramelize the fastest and yield the most flavor. Red Onions – With their beautiful purple color, they make a visually exciting addition to a variety of dishes such as salads and pizzas. Just be careful, because over caramelizing can turn them into an off-putting greenish-brown color. 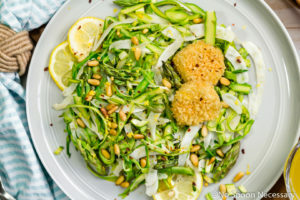 White onions – White onions caramelize similarly to yellow onions, however they will be slighly less complex in flavor. 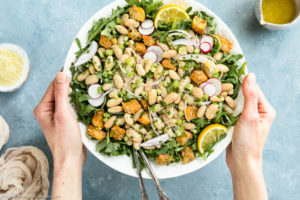 Sweet Onions (such as Vidalia or Walla Walla) – Sweet onions will yield a slightly sweeter flavor, however they tend to lack flavor complexity. Caramelized onions definitely require patience! You can tell when caramelized onions are done because they will have a deep, rich golden brown color and be extremely soft to the touch. 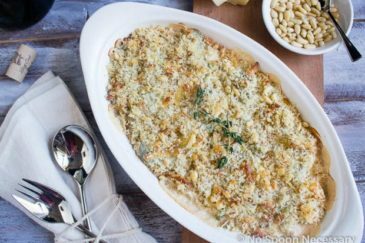 Caramelized onions are incredibly delicious and versatile! 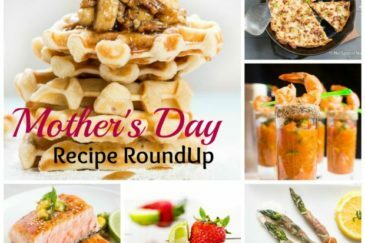 They make a wonderful sweet and savory addition to many dishes. 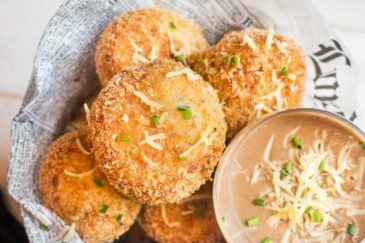 Plus, they make a fantastic base of mouthwatering flavor in dips, soups and casseroles! Let’s face it, everything is better when caramelized onions are involved! Dips – Finely chop caramelized onions and add them to your dips! Soup – Stir caramelized onions into your soups and stews to add a deep, interesting flavor! Steak – Dress up your steaks by adding a healthy spoonful of onions on top! Chicken – Same as steak, caramelized onions are a delicious way to jazz up chicken! 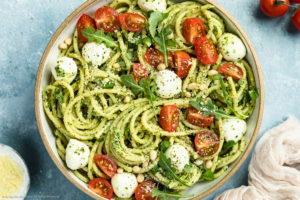 Pasta – Add a small amount to creamy or tomato based pastas for a sweet complement of flavor! Pizza – Drop caramelized onions on top of pizza to add a touch of umami and sweetness! 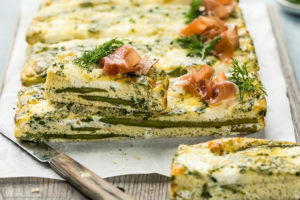 Eggs – Mix caramelized onions into frittatas, use them as a filling for omeletes or use them as a topping for scrambled eggs! 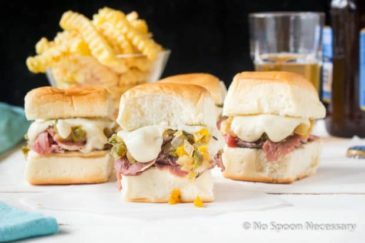 Burgers or sandwiches – Add a heaping dollop on top of burgers and sandwiches! Or, finely chop caramelized onions and mix them with mayonnaise to make a homemade sandwich spread! Quesadillas – Add a couple tablespoons to your quesadilla filling to make things more interesting! How long are caramelized onions good for? 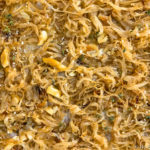 Leftover caramelized onions should be stored in an air-tight container or zip-closure bag in the refrigerator. Properly stored, they will last up to a week in the fridge. Can caramelized onions be frozen? How to freeze caramelize onions? Since caramelized onions take a bit of time to make, freezing them to have on hand is a great idea! 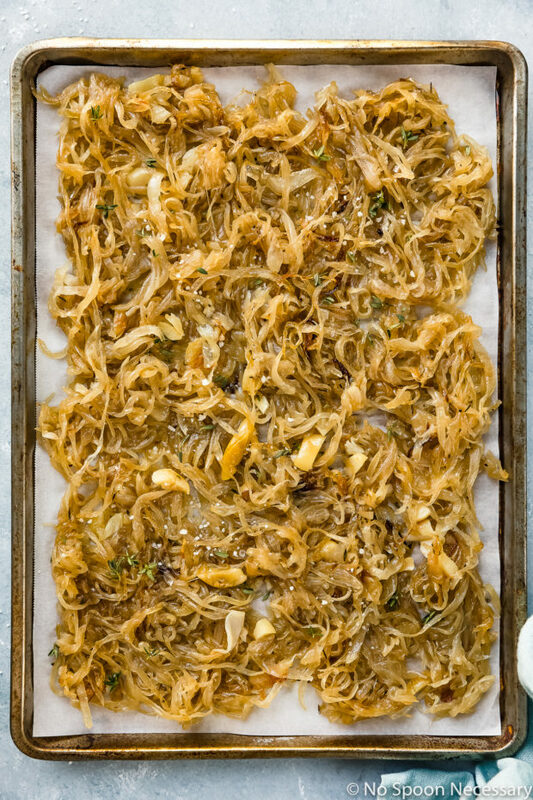 Caramelized onions freeze beautifully and will keep in the freezer for up to 3 months. To freeze caramelized onions, allow them to cool completely after cooking. Transfer them to a zip-closure, freezer safe bag and gently press down and around on the bag to flatten them out. Label the bag and transfer it to the freezer. How to reheat caramelized onions? Frozen caramelized onions do not need to be thawed! You can simply use them in a recipe as is. While yellow onions are my preferred onion to use, you can use whatever variety of onion you prefer – red, sweet or white works as well! Four whole onions will seem like a lot on the baking sheet, but do not be alarmed. Onions will cook down by a ton (they will shrink to about a 6th of the amount). The brown sugar is optional. I used 1 ½ tablespoons because I like the extra depth of sweetness it gives the caramelized onions. I tossed my onions 4 times during baking. Please note, the more you toss the onions, the less likely the edges are to burn and the more evenly they will caramelize. If you don’t like roasted garlic, feel free to discard the cloves when you discard the thyme sprigs or you can keep them whole, mince or slice them. I removed the cloves, thinly sliced them and then tossed them back in the onions before serving. 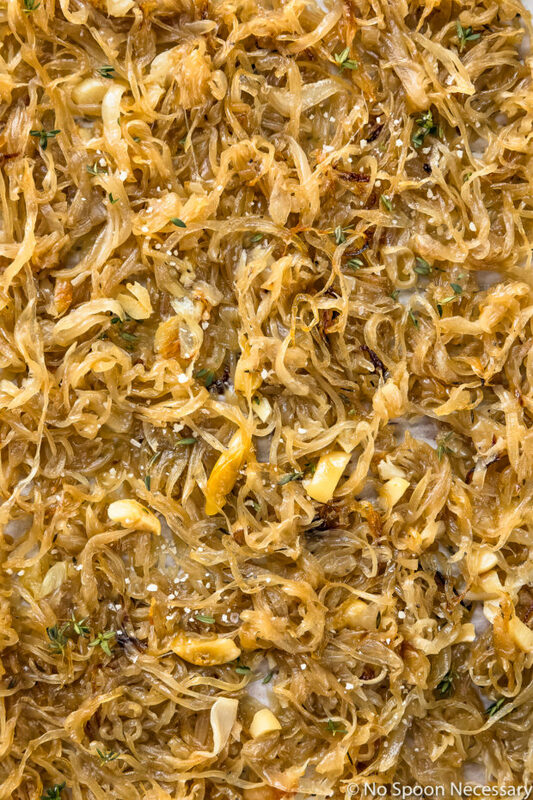 With the same delicious flavor and half the effort and mess, these oven caramelized onions are a game changer!! Until next time, friends – to cooking hacks! This Oven Caramelized Onions Recipe is an easy, mostly hands off kitchen hack on how to caramelize onions in the oven! Add mouthwatering flavor and take a dish from ordinary to extraordinary with these perfectly caramelized onions! 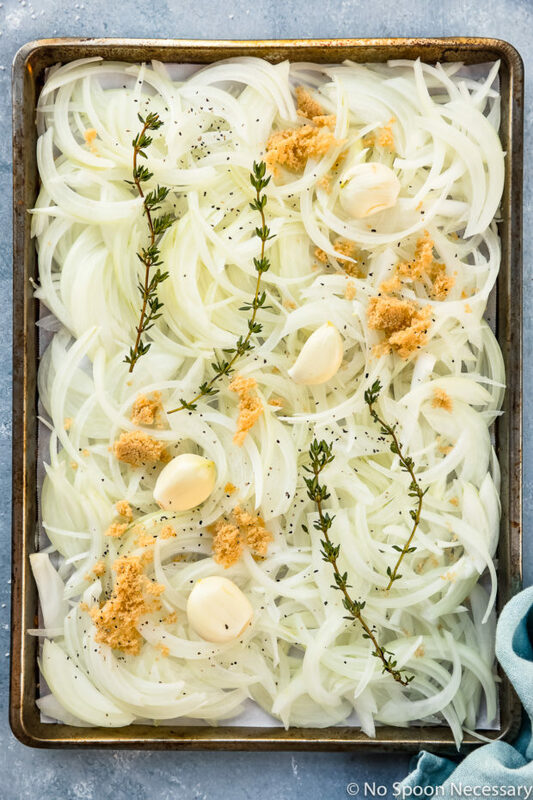 Place onions, garlic and thyme on a large, rimmed sheet pan. Sprinkle with brown sugar, drizzle with 5 tablespoons of oil and season generously with salt and pepper. Toss everything together until evenly coated. 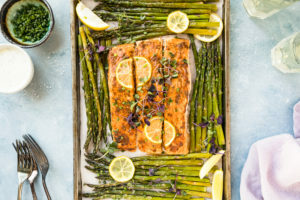 Cover the pan with foil and roast in the oven for 55 minutes – 1 hour and 10 minutes, or until softened and golden in color, removing onions from the oven and tossing the onions 3-4 through roasting*. Remove the pan from the oven and discard thyme sprigs*. Drizzle onions with Worcestershire sauce and/or Balsamic if using. Toss to combine. Serve: Taste and adjust for seasoning with salt and pepper. Serve and enjoy! 4 onions will seem like a lot on the baking sheet, but do not be alarmed. Onions will cook down by a ton (they will shrink to about a 6th of the amount). Nutritional Information based on 6 servings. This method is a game changer!! We love caramelized onions in so many things, but I don’t always have time to make them. So excited to try this! You can use caramelized onions in almost anything! Love this oven version…fuss free and quick!